C content is over 70% in charcoal got fromg biomass gasification plant . 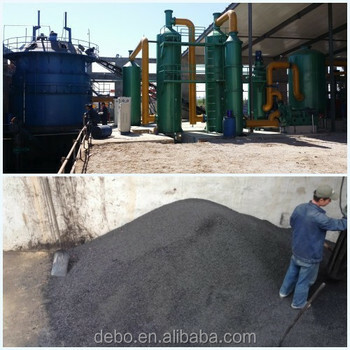 good material to produce activated carbon. Comprehensively consider the characteristic of biomass gasification process and biomass to design 1000kw biomass gasification power generation system,we will use 1 unit downdraft biomass gasificationsystem with the capacity of 3000Nm3 gas and 2unit 500kw internal combustion gen-set .Coconut shell is constantly sent by feeding system to gasifier and react with a certain amount of air to produce fuel gas .the produced energy keep running temperature of system at 500~700℃. after the hot gas is cleaned and cooled down by cleaning system, it is piped to Internal combustion gen-set to output demanded power . To reasonable design the height and diameter of gasifier make sure good gasification condition and long residence time of biomass in gasifier in order to get high efficiency. The main technical process is shown by F1. Required humidity of should be less than 15%. Required size should be less than 3cm.After that,Satisfied biomass is sent into biomass storage room. And at least , it is necessary to store adequate biomass which is enough to support plant to run fro one week. 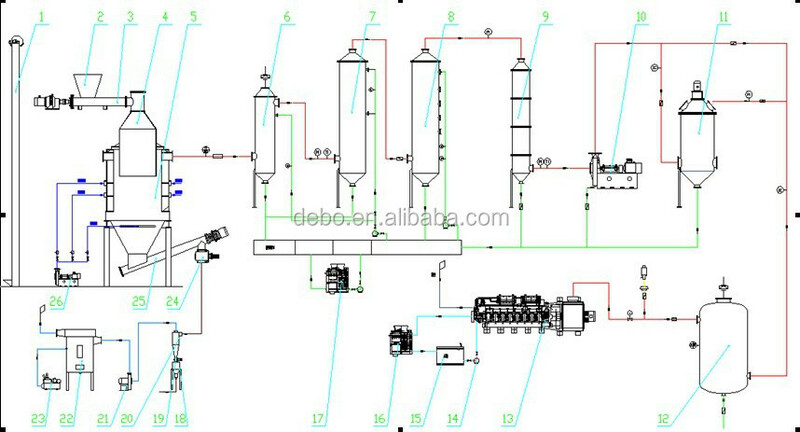 Biomass is heat inside gasifier (temperature is around 600-700c) At the same time ,pyrolysis and gasification reaction happen so that biomass is converted into fuel gas .The main composition of fuel gas is CO,H2,CH4 etc. And some tar and dust are included in fuel gas . The heat value of fuel gas is 1000~1200kcal/Nm3. Semi-reaction carbon ash is released by rotary fire grate ,which is transported to be collected in storage room. Use water as media of purification process . Based on different temperature and ash content in different stage , choose to use different wet purification device with different capability in order to well remove tar and dust till gas quality meet the demand of IC Gen-set. Cool and clean gas is piped to cylinder and mix with air to combust to produce electricity.